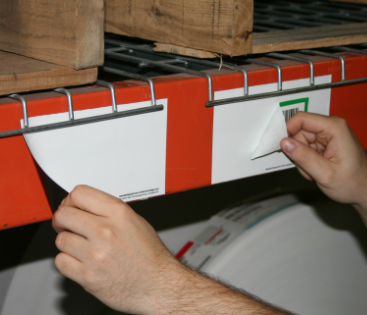 The Rack Placard is a permanent label holder that allows for easy application and removal of single-use labels with no sticky residue or messy overlapping, keeping racks and shelving units neat and clean. 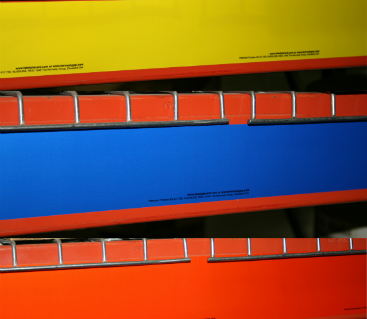 The Rack Placard is a cost-effective and simple solution that eliminates label build-up, excess labor and time to scrape off old labels, and chipped paint and scuff marks. 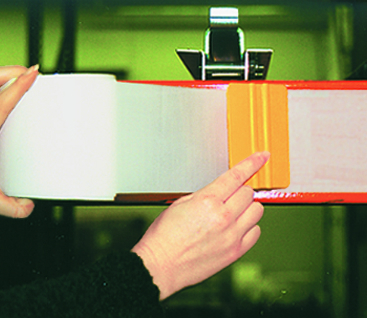 It provides a clean surface for any label or barcode to be applied and removed effortlessly. 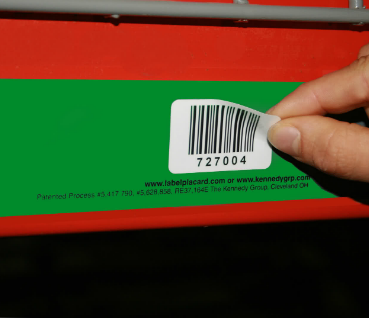 Users simply roll the Rack Placard on to the rack, and then identify the rack or shelf with the same barcode or label currently used. 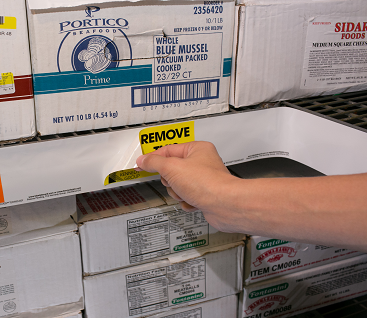 Increased productivity and cost savings – No scraping shelves or racks. Organization – Neat and clean environment; clearly identified shelves and racks. Confidence – Proprietary Hold and Release® technology. 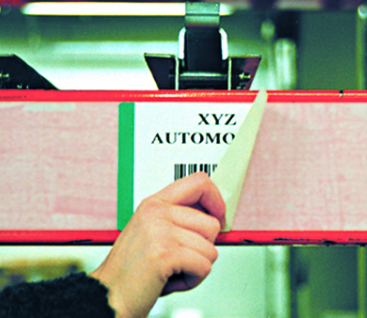 Security – The Kennedy Group guarantees that The Rack Placard will perform. 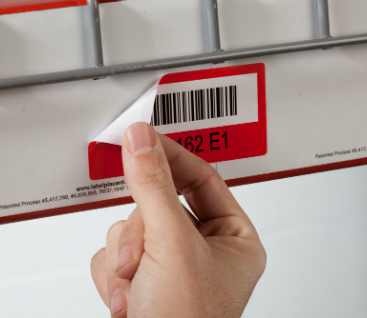 Easy removal and replacement of labels. Adheres to wide range of surfaces and temperatures. Can be customized to virtually any shape, size and color. 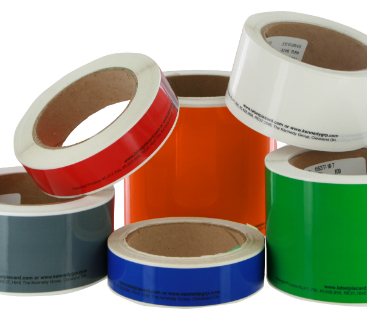 Accepts most standard permanent labels.